For All Military Personnel on Veterans Day and Everyday. She is at it again with the camera and also on a 'rant' about honoring all military even though she is a peaceable woman. Even the military want peace. Honor them all each day. Honor each other each day. See the creative in all. In updating this post, I accidentally deleted what I had posted previously and can not retrieve it. So, a big hug and thank you to all military personnel in the United States for currently serving or having served. You deserve to be honored for your choice to defend our country. Peace to all. We love you. Your little yorkie is so precious! I agree, I have great respect for our troops and all our veterans! Art Muse dog is looking cute, as usual. Your little yorkie is so cute. At least she looks at you when you take a picture! One of my yorkies hides from me... now what is that about. My Grandpa fought in WWII. Thanks for such a wonderful tribute post to our Veterans. Hi ! I love the pen and ink sketch, the the cutie on the couch looking all comfy !! The pic of your dog is so lovely, she's got that long suffering look! I agree with you all soldiers are putting their lives on the line and you have to respect that. A great Veteran Day haiku !!! I'm wearing my Poppy with pride for the 11th November. We should never forget. i love your first painting the most!!! Beautiful photos and I love the quote too. Very well said, Carol! And a beautiful watercolor painting. 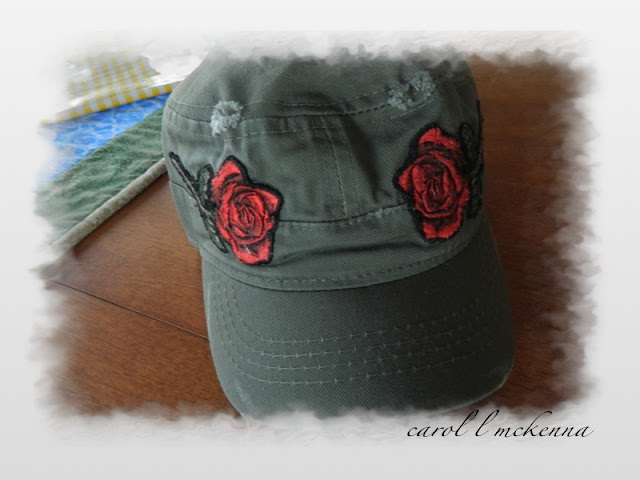 Hi Carol, the photo of the cap is very touching in it's simplicity - highlighting the Veterans Day in a special way! So is your haiku and the art, have a wonderful Sunday! Just perfect for today Carol. Peace be with you. 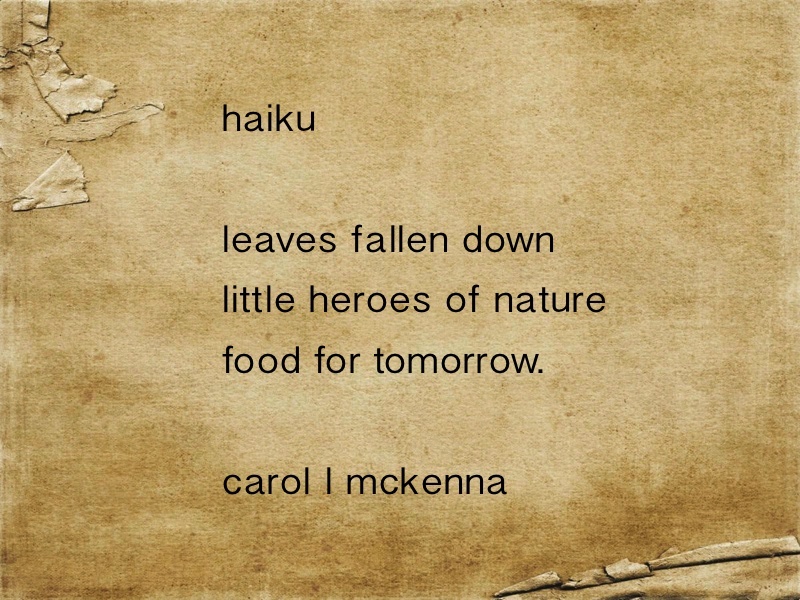 I love this haiku on Veterans day. I can't really find the inspiration back, but that doesn't matter it's a wonderful tribute to the Veterans. Thank you for sharing. Wonderful little dog. 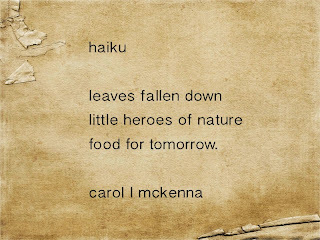 And a lovely haiku. No veterans day here, no veterans either since we have been blessed from war in more than 200 years. This is a perfect post. I also shared a Veterans Day post, but mine was not as thought provoking as yours. A wonderful day to always remember!! What sweet pictures...Your dog is adorable. Happy Veterans day! A lovely tribute. Love the quote! Lots of goodness today, Carol. Namaste! I want a Yorkie real bad, but my husband says no. I think I should just do it anyway. haha Thanks for visiting my blog. I love yours. Awesome tribute! Love the last rose and also the quote is amazing! Love your work! Thanks for linking up with YSB this week! thank you carol for the warm welcome home. your post today is especially touching. today stirs my heart with so many family memories. What beautiful ways to thank the troops. Lol that is just what my little dog thinks when I get that amera out! 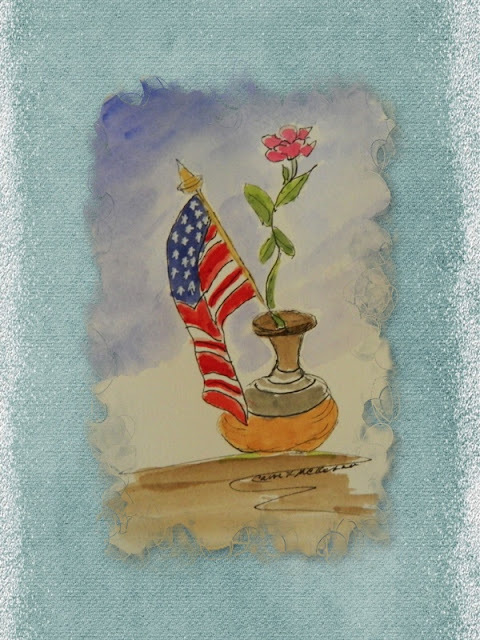 Your Veteran's Day painting is superb! Wonderful tribute to veterans... and a great message of peace! Oh what fun paintings you have! Oh, yes! Sam Schnauzer thinks the same thing, too, when I get out the camera!! 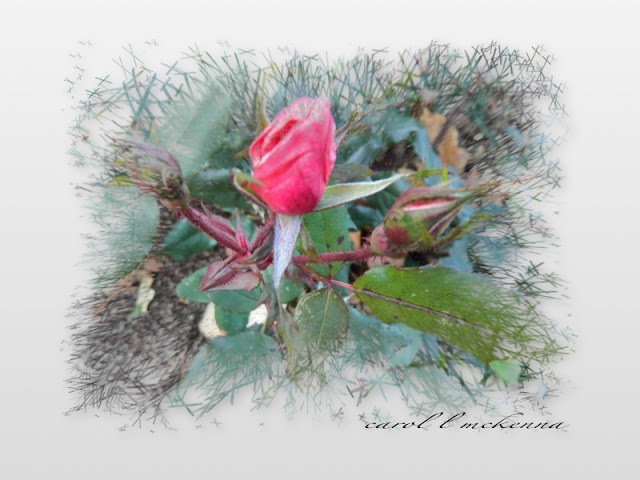 Love your shots for the day and beautiful paintings, Carol!! Have a great week! Lovely tribute for Veteran's Day! I would love to see peace for all. 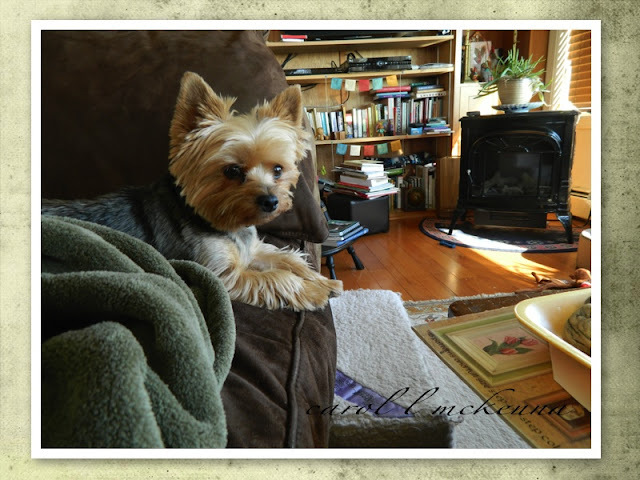 Your doggie is so cute, great post and photos. Thanks for sharing, have a great week ahead! How beautiful an environment you live in. full of love dear carol! Love your pics & wonderful painting! Fantastic Tribute to our Veterans!Art Dog Muse looks very sweet! A nice post. 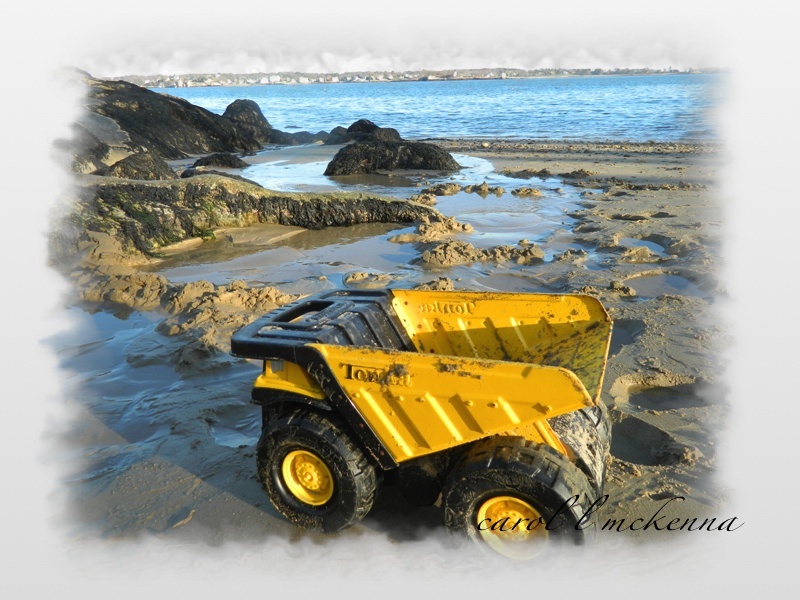 I remember playing with Tonka trucks when I was a boy! What a cute little puppy dog:) And i like the tonka toy on the beach. You really do wonder about it's size at first. I love the tonka truck on the beach. What a great perspective. I am going to have to check out some of these challenges, What you have done with them is great . really nice tribute, Carol....and a unique take on the 'hero' prompt! Leaves as heroes of nature, lovely!